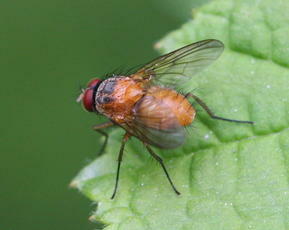 Length about 7 mm. 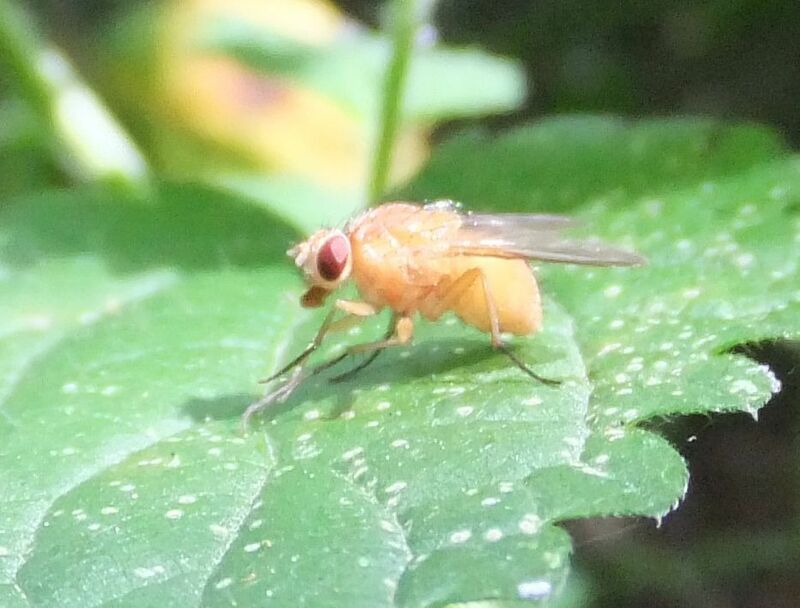 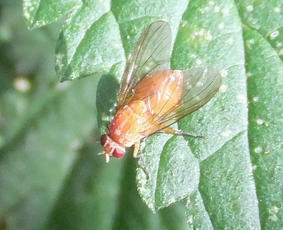 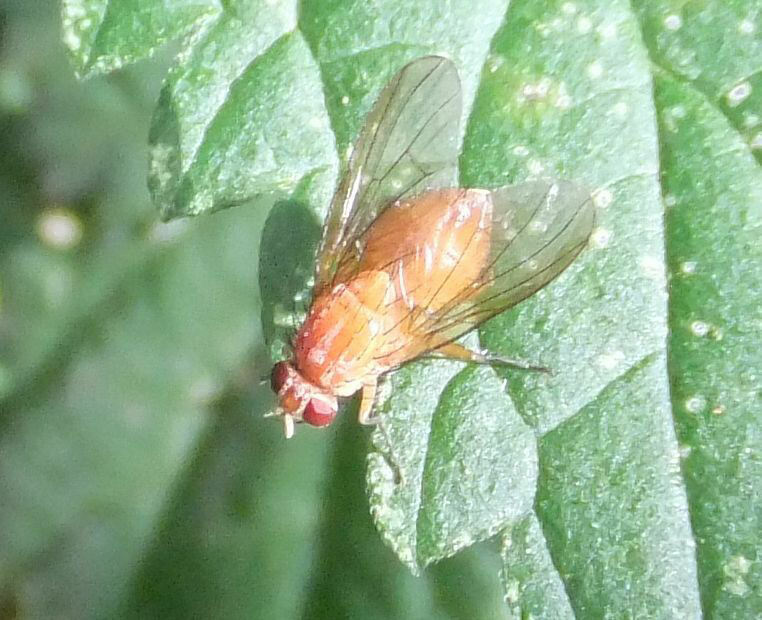 An orange fly with a very hairy thorax. 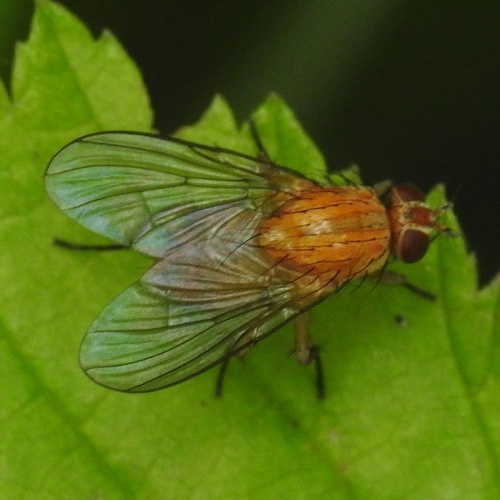 Larvae are associated with fungi and rotten wood. 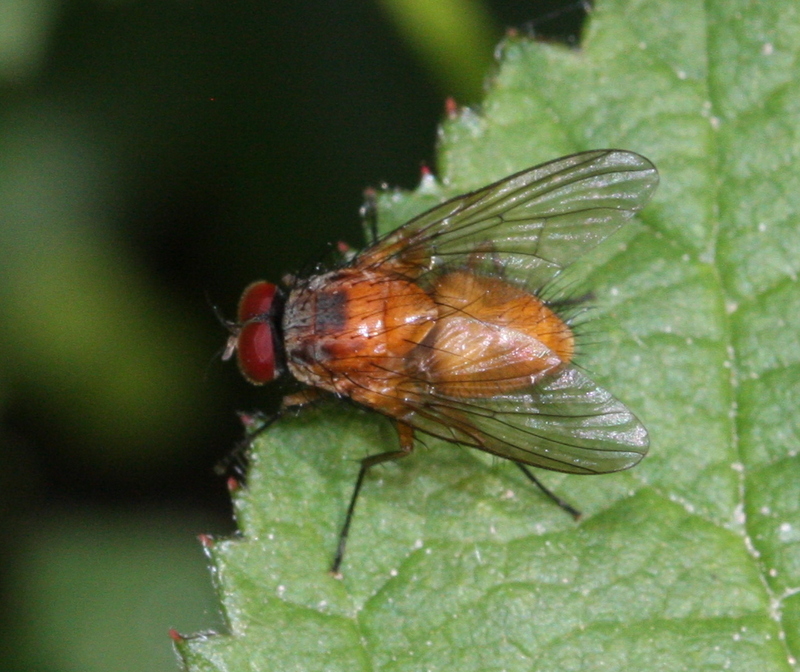 Fairly common and widespread in England and Wales.